​The word around town is . . .
Wow! Eileen is a true professional! 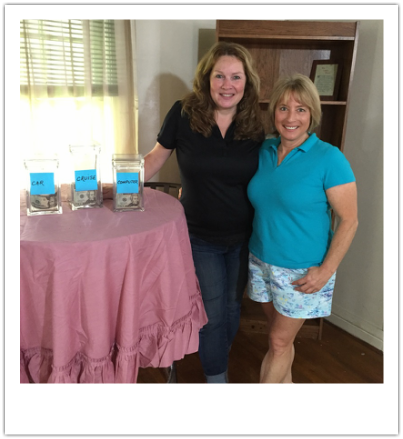 As part of a four-person Professional Organizing Team, she assisted me with the work for an episode of “Hoarders” the Lifetime TV Show. Eileen approached the job with excitement, compassion and patience. She took initiative during all phases of the project and showed tremendous respect and care for the client. For the first time in the history of doing the show, I was confident to leave Eileen and the team alone in the house on Day Two, while I shopped for the client! The results say it all, in just 2 days Eileen and the team sorted and purged a home filled with 20 years of hoarding! On Day Three they transformed the house into a home that could be enjoyed and the client could feel comfortable entertaining friends and family. ​The client was ultimately able to regain control of his life because of the work of Eileen and the team. Their personal touches could be found in each room of the house leaving a lasting impression of their compassion for him and his family. Thank you sooo much for the great organizing session this week!! My husband is thrilled and its already having a ripple effect of other decluttering at home and work, and more efficient work time!!! Alpha Xi Delta Gamma Chapter is a national sorority at the University of Mount Union in Alliance. As the year came to an end the Senior Class decided to re-do our Xi Room as the senior gift. The Xi Room functions as an office and storage room for the sorority. We knew we needed to get it organized but it was so overwhelming seeing everything that we pulled out of the room. That is where Eileen came in! She quickly began organizing and sorting things to make it all seem less stressful. It seemed that in no time at all we were putting things back in the room. Not only did Eileen help immensely in organizing she was also amazing at adding little touches like a chalkboard door, mail boxes, and a memo board. It was a blessing working with her and we look forward to calling on her in the future! I recently contact Eileen Adkins of 'Leen on Me Organizing because I was about to start a new job and needed my home organized. I was on a time crunch, so it was crucial that we worked "smart." My house was truly a mess; I was overwhelmed, not knowing where to start. A warm and compassionate person, Eileen worked with me one on one, helping me decide items to keep or donate. What I especially like about her (and there are so many things! ), is that she took my donations when she left for the day and brought back a tax receipt when she came to work with me the following visit. That means a lot because given my druthers, I'd leave the items in a bag in my house or car! We worked on organizing my living room, dining room, kitchen, and two bedrooms. She analyzed every room for its maximum space potential: for example, I was underutilizing the space under my kitchen cabinets. She had an idea that my huge microwave would fit underneath. I did not believe it could. She took out her tape measure and measure the size of the microwave and the space between the cabinet and counter and lo and behold, it fit! That gave me so much more space for other things. It's things like that and more. Like how she transformed my second bedroom, physically moving furniture around so it could be both an office and a place I could relax and watch TV. I now wake up each day to a clean, organized home. I went from living in CHAOS ("can't have anyone over syndrome") to living in a home that I am proud of, where I can invite and entertain friends. I could/would never do that before. And I am actually maintaining everything pretty well. I'm not perfect, but every night I hang up my clothes in the closets and drawers that Eileen organized so beautifully, instead of leaving them in haphazard piles. My job is hectic but when I get home, it is an oasis of calm. I owe this to Eileen and the help that she provided. If you are on the fence about engaging her services, I would recommend that you call her right away. I have worked with several organizers in the past; many of them drag the process on and on. Not Eileen; she gets things done in your time frame. And most importantly, she truly cares about her clients. I cannot say enough good things about her. I thank God that I found Eileen of 'Leen on Me Organizing!